Taking your CBT Training in Stratford couldn't be easier with some of the most affordable training in London available. East London hosts an abundance of quality training, located in Tottenham, Walthamstow and Dagenham. If you are looking for nearby training then consider the short 20 minute journeys to Dagenham or Tottenham. What Is a CBT Test in Stratford? Although sometimes considered as a CBT Test, in fact it is training. CBT Training typically takes between 6-8 hours on one day. At the end of the day the instructor will issue you with your CBT certificate if he believes that you are safe on the UK roads. 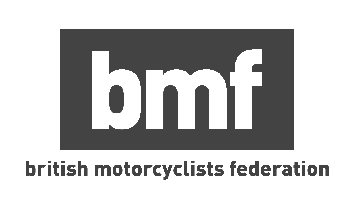 The two things to consider before taking your CBT Training are having a good knowledge of the highway code and a good understanding of English. If either are not up to standard, then your instructor may stop your training and you will have to re-book. We recommend purchasing a highway code and to practice English if it is not your mother tongue. How much does CBT Training cost in Stratford? CBT Training in Stratford costs £99 at the lowest cost and this training is often booked long-time in advance. Don't miss out and book in advance. All RideTo costs include bike and helmet hire and insurance, therefore, you will not be turning up to your training and receive any further costs. You will need a UK provisional licence or UK full driving licence or EU licence (with D9 counterpart) and wear suitable clothing which includes sturdy trousers and boots.